Where's the Cutler Outrage Now? It's all smiles for Jay Cutler and Chicago right now but conditions in the Windy City have been known to get a little windy for Bears quarterbacks. Remember when, after Jay Cutler was not-so-talkative -- he gave abrupt, simple, boilerplate quotes and refused to explain the Bears loss in much detail -- Jim Mora said Cutler "didn't get it?" 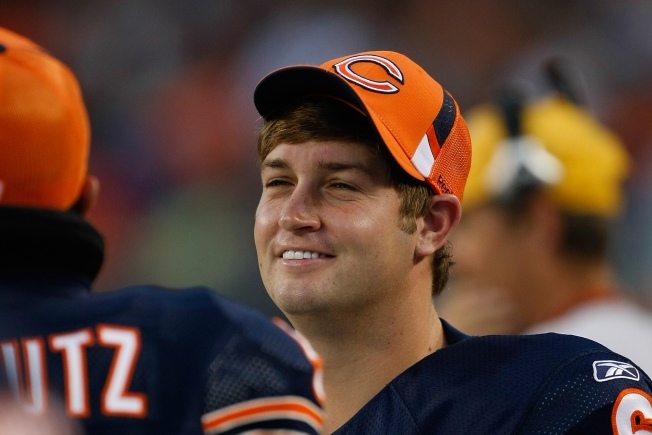 Remember when Mike Martz said Cutler was disrespecting Lovie Smith? Remember when a certain local Chicago Tribune writer pleaded with someone in the Bears organization to "say something" to Cutler, before his attitude derailed the Bears season -- before it was too late? In the past two weeks, Jay Cutler has played very well. He hasn't been perfect, but he's been better than average. His completion rate since halftime of the Packers game -- the last 10 quarters -- is the highest of any quarterback in the NFL. Most importantly, the Bears have won both games, in no small part thanks to Cutler's offensive contributions. The silence is defeaning. What happened to Jim Mora? Where's Mike Martz? What then -- is Cutler not a cancer anymore? That certain Tribune columnist stands by his belief that someone needed to say something to Cutler, even inventing, apparently out of whole cloth, the notion that someone did say something as a reason for why Cutler's playing so much better. Right. Since Cutler hasn't exactly been bringing the house down in his pressers since, we're betting that's not really the case. Maybe here's what happened. Maybe Jay Cutler had a bad game. Actually, to be more accurate, a bad half. Then, being the skilled quarterback that he is, he got over it quickly and started playing to form. And now that he's playing well and the Bears are winning, guess what? 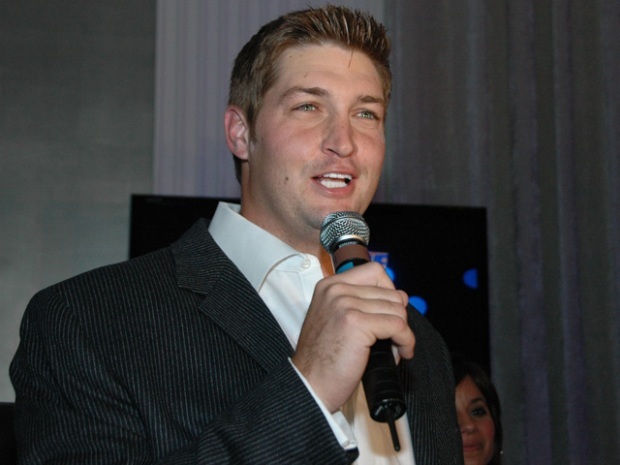 Jay Cutler's not a bad guy anymore! Woo-hoo! This happens every year in Chicago, and it needs to stop. One game is one game. A few terse quotes are just that. Jay Cutler is neither a saint nor a sinner, a bum or an All-Pro, based on one week. Let's give him a season to prove his worth, huh? And in the meantime, let's stop trying to parse every little thing. Let's just enjoy the football, and the fact that the Bears have, for once, a capable quarterback. Anything else just sabotages the fun.